Growing a profitable business while maintaining work-life balance is an enviable position for some, but for most, it’s more than an elusive dream. As a serial entrepreneur or business owner, and especially if you have a family to consider, this is always the goal. 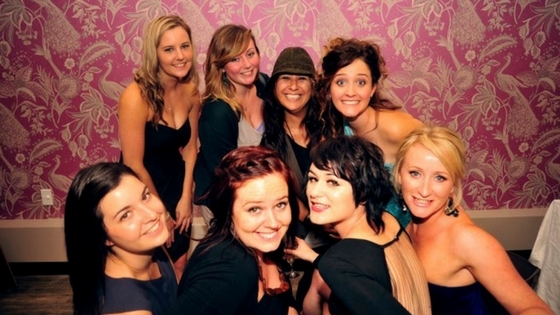 Over on the podcast, we chatted to Kelley from Wellington salon, Head Start. She bought her salon when pregnant with her first child, and has since grown a loyal team of 13 who work hard to build the business with her. She spends 7 hours IN the salon each week. Kelley has built her business in a way that enables her to work on tasks which will accelerate growth, whilst maintaining an enviable work-life balance. She shares her top tips to help you get out from behind the chair. Building a business isn’t a walk in the park, and you’re going to make a few mistakes along the way. Learn from them. If you’re listening, the failures will teach you what can do differently next time. If there’s something that you don’t know how to do - you can learn how to do it. This does not mean that you have to learn and then do every job in your business. Both Kelley and I agree that learning enough to know how things work so you can delegate effectively and enough to make good strategic decisions. Understanding the business basics such as budgets, profit and loss - and taking the time to learn what it all means is actually very empowering. Basing your daily, weekly and strategic decisions on those numbers propels your business forward toward your goals (rather than floating around in the dark hoping you’re doing well). This does not mean you have to actually DO the number crunching if it’s not your thang. Kelley has her accountant manage her books, as she recognises numbers are not her forte, but it’s priority enough that she meets her accountant weekly. The E-Myth by Michael Gerber is all about working on your business, not in it. Also The Four Hour Work Week by Tim Ferris. Treating your team how they want, and deserve, to be treated, by putting yourself in their shoes every day provides a constructive working environment. This doesn’t mean lying down and taking whatever they throw at you, but creating a working environment where they feel valued and feel aligned with your vision. If you understand your team and what they need from their perspective, you’ll have strong team retention. Enabling them to achieve what they want in their own careers is a win-win for everyone involved. A strong team also means that you can step away from clients or the day to day tasks of your salon feeling confident that it is running smoothly. When you do spend time IN your business, spend the time with your team instead of on operational tasks, save those for your home office. Hold a team meeting every week and make them fun and interesting. Invite your team to have turns at hosting the meeting themselves, they will be far more engaged and developing a deeper understanding of what’s happening both around them and within the business. It takes time to build the engagement, but it’s worth it in the end. Giving your team the opportunity to stand up and lead lowers the time you feel you’re talking to a team of blank faces. Kelley broke her ankle in New York late 2015 and was forced to take some time away from working with her clients. Having pondered this for a while, she took this as a sign and broached the subject of coming out from behind the chair with her staff, who were all super supportive. 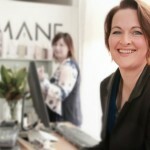 Whilst dropping your clientele may seem terrifying at first, it opens up the time for you to really work on growing your team, your salon clientele and thus your business. 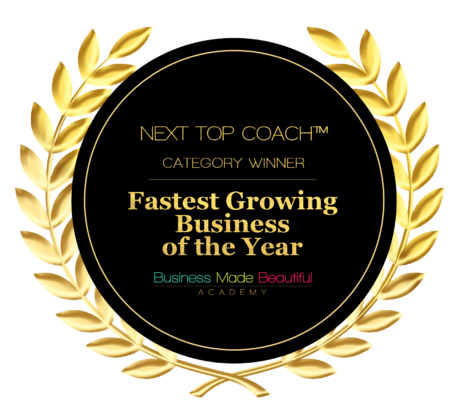 Both Kelley and I experienced an explosive increase in turnover and profitability when stepping back off the floor and focusing instead on building and managing the business as a whole. 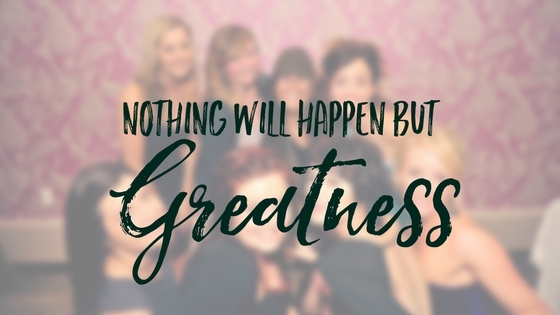 We both agree, when decreasing your hours actually doing clients, ‘nothing will happen but greatness!’. Be brave. But be smart, we’re not suggesting you jump off the cliff without a parachute. Be strategic and block out small and manageable blocks of time and replace it with a new business growth activity. Warning: do not replace client time with admin, paper shuffling or walks in the park and wine nights out!! If it feels hard to transition your clients to a new stylist, start with closing your ‘book’ to new clients then take your time to consider which members of your team will be most suited to love and care for your clients. If you want to enjoy work-life balance and build the lifestyle of your dreams then consider how much time you’re spending on growing your business and where you’re investing your time. Sometimes things have to change... If you want to see that change come to light. Listen to the interview with Kelley Oliver over on the podcast. 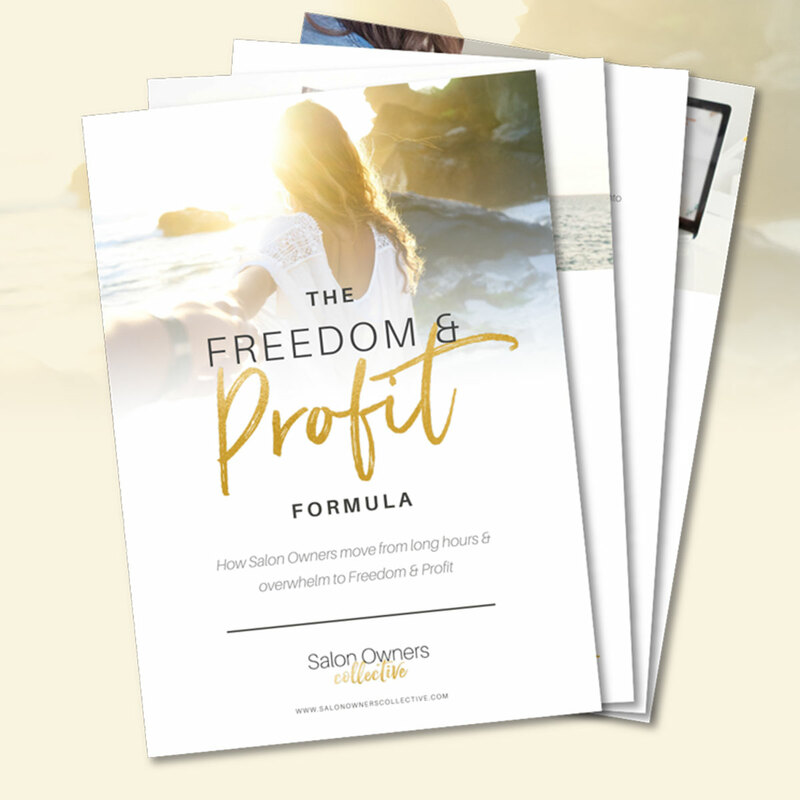 Are you a salon owner who wants to grow? I work with a small group of women to help you build and fast track the success of your salon & vision? Branding, Social Media & Promotional Marketing strategies. The building, leading, training, and managing of a Rock Star Team. Freeing yourself up from the stress of owning a business to enjoy life outside of work! The goal is to help you get more clients and transform your business into a well-oiled machine, build your team, and get you out from only being behind the chair and working ON your business instead of IN it - so you can spend time with friends, family or do yoga (if that's your thang)!